I first met this kid when I spoke at the PGM program at Clemson in 2016 and I was intrigued by his curiosity and passion for learning. In PGM programs nowadays you get a few young men or women that have made up their minds that teaching is the direction that they want to go and Robbie was one that showed interest. He attended my Guru workshop in 2016 and then started showing up every other Saturday to shadow and observe me teaching. We had a connection….Thank you for allowing me to visit you,”Will you help me?” he would say. He was so appreciative and respectful which I am a big fan of. People that show an interest in learning make it easy for you to share with them what you think may assist them in being successful. I am always grateful to get this kind of request from peers that visit. I started to pour into him what little that I knew about teaching and coaching . What he didn’t know was that I was becoming the student in many ways. When we share we learn and are reminded of what got us to where we are. So I pulled some strings and made sure that he became my intern assistant for the 2017 season because I wanted to see what this kid was made of and if he was for real. As timing had it I was in a position to hire another instructor at the end of the summer and I told Robbie that he would have an up front 6 month interview for the job if he was interested. The eyes got even brighter. He didn’t dissapoint. As I have done in the past with Alex Van der Linden (now Governors Club DOI) and Seth Merz (current Junior Golf Director/staff instructor), I try to keep it in the family. He did an exceptional job. He continued to ask the tough questions, be curious, did the little stuff that most young men would deem as mundane or ordinary, believed in my philosophy and program and even filmed and documented my lessons to help me create content which is as selfless as it can get. He passed the test. So I am pleased to say that on August 1st, Robbie Failes will be a full-time PGA teaching professional at the Carmel Golf Academy at one of the best Country Clubs in the Country, Carmel Country Club. I am very excited to have him as part of my instructional team. Huge thank you to my other superstar, Seth Merz, for helping me mentor Robbie and assisting him in many ways but most importantly welcoming him into the CGA family. I look forward to seeing what the future holds for the both of you. Robbie, welcome to #TeamCGA, you have earned it. I am very excited to team up with best coaching platform in golf today, Edufii. This is an opportunity to step onto my lesson tee, observe lessons with all level of players where I use cutting edge technology as well as old school methods of getting results. Click on the link below to check out my Team page which gives you all the information that you need to get started…….. If you have enjoyed the preview with my edufii Team Guru then you will want to take advantage of this special offer. 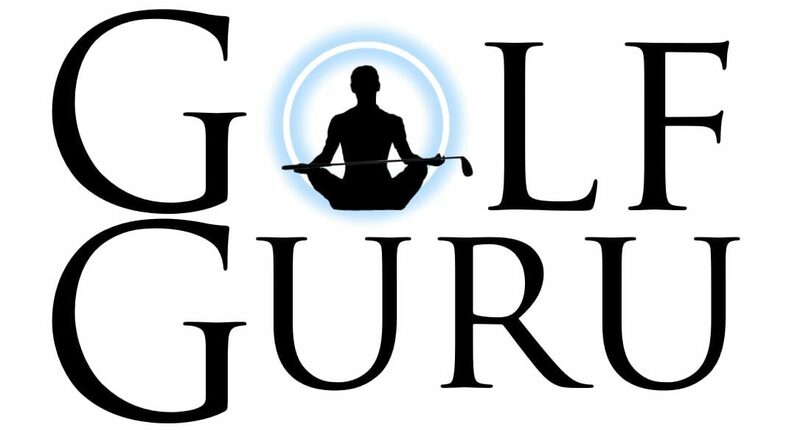 Become a part of my premium team as I will provide you with the information that you want from full swing and putting. Research from using SAM Putt lab, Trackman and boditrak. The first 50 to sign up will get HALF off of an already low price of 9.99/month. Just click on the link https://edufii.com/cc/teamguru to sign up. Jon is the owner and lead instructor at Sinclair’s Golf Training Center in Euless, TX. One of only three Master GolfPsych certified instructors in the world, Jon played professionally for seven years and has been teaching golf for 15 years. He is an expert in the area of 3D swing analysis, swing mechanics, the mental game, TrackMan, and clubfitting. He is also a certified UST shaft fitter and club fitter for all major equipment brands and is on the Advisory Staff for Edel Golf. Jon’s other certifications include Titleist Performance Institute (TPI) Level 2 Biomechanics and Fitness, Advanced Motion Measurement (AMM) Biomechanics, TrackMan Level 2, SAM Puttlab Level 2 and SAM Balance Lab. He and his staff currently work with more than 20 PGA Tour professionals and 15 Web.com Tour players. For those of you who haven’t seen the original lineup, it will be myself Claude Harmon III and Mark Blackburn which will make for a great day learning from some of the best in the teaching business. Depending on how signups go in the next couple of weeks, I may have room for one more presenter……..Will it be you? I have a list of guys thay I will meet with next week but if you have an interest shoot me a message or get with me at the PGA show and I will make a decision in a few weeks. Important: If you haven’t signed up and would like to attend. It is Monday, March 28th at my home club..Carmel CC in Charlotte. The cost is 250.00. We will go all day and will include lunch with an after party that you don’t want to miss which allows you to mingle with the presenters. Email me at jsutton@carmelcountryclub.org and I will send you an invoice. Coaching thought for the day: There is always more than one solution to the problem. When evaluating a golf swing or a putting stroke, the solution must match up to the goal of the student, the ease of the change (which seldom is the case) and the commitment to the team. Asking the right questions, gathering the information whether its verbal or technicallogical will allow you to put the proper pieces together to get the end result which is….PROGRESS AND CHANGE. Be confident in your delivery in your analysis and when describing the solution and process. Don’t be afraid to be WRONG but make sure you have enough information to correct it once it fails…..and it will. This is how the teacher and the student learns! What’s up everyone? Like I said in my first entry, this will be a whats on my mind, brain dump, journal like space. Not worrying too much about structure, punctuation or grammar (although my left brain won’t let me hit the button without a spell check). I know that will drive a few of you crazy, so save your text messages and DM’s…not to mention any names…. @kevinjpmurray 🙂 just kidding my friend. So let me tell you about my day. Today was a big day for my son, Nicklaus, who is a freshman in High School. 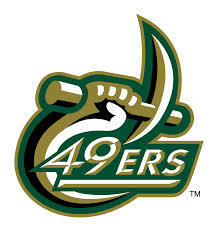 He had his first recruiting visit today with UNCC and coach Cabbage. I know for those of you who aren’t dealing with golf recruiting might think this is too early but it’s not. There are several kids in his class whom have already committed…which I am not a big fan of…but I continue. I have been very fortunate over my career to coach several players that have gone onto play college golf but honestly until the last couple of years I haven’t spent the time to learn the rules and regulations of the recruiting process and how the coaches deal with players, evaluate them and ultimately how I can improve the chances of the players that I coach in playing college golf. We had an outstanding day as I was able to step back and observe Nicklaus and the coach get to know each other, ask questions and get a feel of college life as a student athlete. Coach Cabbage did a great job of giving Nick the picture and the vision of his outstanding program and a fantastic job of making us feel comfortable with the entire process of recruiting with honest answers to all of our questions. I have great respect for Coach Cabbage as one of my players just committed to play there and today just deepened my trust in every way. I won’t divulge everything that we talked about today out of respect for coach but I will share with you a few thoughts about what I have learned from this process and how it may help you if you are a coach (or a parent) or a player wanting to play college golf. I will learn more as I go through this process as a parent/coach. We have another visit at NC State this Saturday. Good times for sure. First, A few thoughts on college coaches from a swing coach’s perspective. The college golf coach should not recruit a kid and then attempt to become his/her swing coach. You recruited the kid because of their talent and potential and it is important not to mess with that. The great coaches such as my friend, Derek Radley (UofA womens asst.) stress the importance of the relationship between the college coach and the kids Swing Coach. If I were the college coach, that would be the first phone call that I made to get a good idea of their work ethic, potential, attitude and a read on the parents. Yes the parents. If the kid does come and play for them, they already have a relationship with the swing coach if the kid starts to struggle. There is no excuse with coaching apps like Edufii which allows for you to invite the college coach into the training space in order for them to see what you are working on with the player. Such a great feature. It is ok for them to be another set of eyes as long as they know what they are working on. The college coaches job is to evaluate talent, recruit, motivate, listen, lead, keep stats (pulse checks on strengths and weaknesses) and structure practices in order to get the most out of their players. 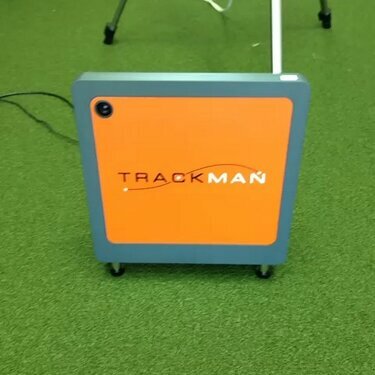 I have just heard too many stories from kids (usually from mini-tour players when its too late) that the coach is looking at trackman numbers and wanting me to change what made them great. 2. Play as many of the big tournaments that you can get into. If you aren’t qualified then play whatever you can to get that experience. There is a big difference in playing your daily games with your friends, giving putts and for fun than when you have to post a score in a tournament with tough pins, less than optimal weather conditions and with better players. The more you do it the more comfortable you will become. If you don’t know what to play in, ask your swing coach. 3. 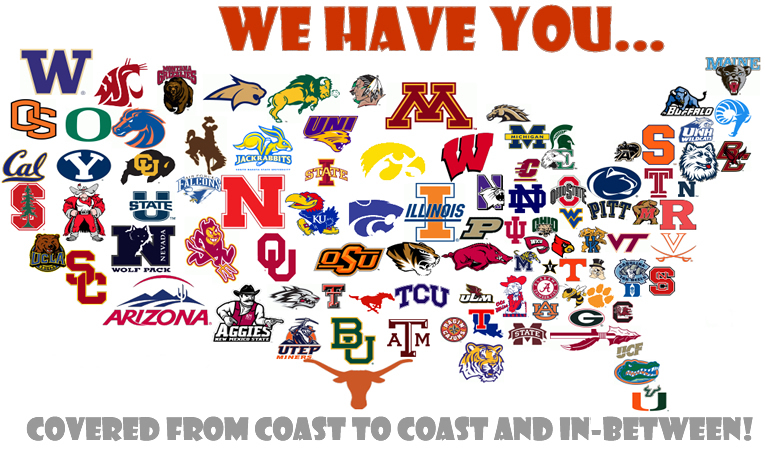 Pick the colleges that you would like to attend. Start with your dream list and then pick some that you know that you can likely play for and start sending out emails introducing yourself, your past tournament results and your upcoming playing schedule so they can come out and watch you play. You can email or call coaches and talk to them but they can’t respond or call you until Sept. 1 of your junior year. Other than a questionnaire that they will send you after you contact them which is code word for (You are on the radar). ****Tip of the Day for juniors going through the recruiting process: coaches are not just looking at your scores although they are important. They are looking at things like: attitude when you hit a bad shot or have a bad hole. How do you bounce back? You all act right when you hit a good shot or make a birdie..learn to control your emotions. 2) How you dress. Are you matching with your shirt tucked in and your clothes pressed? Or are you a wrinkled mess with your shirt half way out. I know there are great players that might dress sloppy but you are not making a good impression. 3) How do you treat your fellow competitors? with respect of are you…as they….the kid that no-one wants to play with. I am not saying you have to talk the entire round but be respectful and compliment them on good play. Lastly, carry yourself with confidence. As I like to call it “Take up some space”. Good players have a way about the way they walk, talk and handle themself on the golf course. If you don’t know what that looks like, watch Jordan Speith. I hope you had a great day wherever you are and thank you for the comments, text messages and positive feedback from yesterdays post. It was very cold here as I woke up to 16 degrees outside and I don’t think it got our of the 30’s which is cold for North Carolina. Of course my 14-year-old son has played golf the last 2 days but he rarely misses a day and he is off school but that is for another blog. I had a junior golf meeting this morning and gave one lesson inside “the dojo” hitting into the net which isn’t bad training. On Sunday I leave for Orlando for the PGA Show, for those of you who don’t know, its our big trade show where anything in the world of golf can be found. For me as an instructor, I look forward to seeing what is new in the training aid, video software or 3D motion capture world but mostly my time is spent catching up with old friends, networking with new friends and attending seminars for continuing education. Always trying to find that one or two nuggets that I can take back and implement in my teaching or at my facility. I am looking forward to several of the proponent group sessions and the Foot-Joy/Boditrak seminars but typically I learn more in the hall way/dinner discussions that are so valuable when I have the chance to spend time with other top instructors. Over the years I have tried most of the social media platforms and always tend to go back to twitter, Facebook, you tube and my blog for communication and learning. Since my goals have changed and I am in a different place in my career, I have backed off on twitter a little unless I really have something to share of say. It is still the fastest and best way to communicate, build relationships and stay up with the world (depending on who you follow of course). Lately I have been spending more time on instagram and snap-chat which have been interesting. I don’t think these are just for kids as I think they can be great vehicles if used appropriately. I typically post swing or putting videos of some of my students to highlight their hard work on instagram and can link them to other sites if needed. 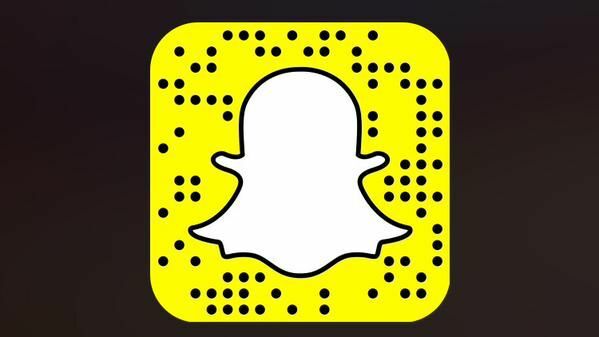 Still messing with snapchat (golfguru1). Most people just post funny stuff in their lives and what is going on but I think it can be an effective marketing tool, even though the videos and pics disappear after a day. 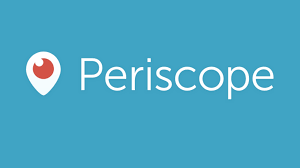 Live streaming has become popular with Mearkat leading the way and now Periscope. Periscope is starting to be used by golf instructors to allow you to watch them work while being able to post comments and questions which I think can be valuable. The problem is in order to be most effective (in my opinion) there needs to be someone else holding the camera while you work or it is unrealistic and not as authentic. Still a pretty cool app that I will be using from time to time. I think it works best for a q and a session (face to face) or in a seminar setting. I have enjoyed how Jason Glass, fitness/TPI expert has used it as a daily show of sorts (Coach Glass TV) @jasonglasslab to share information with golfers and fitness trainers. Check him out if you get a chance. I did a show with a couple of my friends, @dennissalesgolf and Derek Radley earlier in the year talking about junior golf and college recruiting which I thought went well. Lots of golf instruction questions floating around on twitter and Facebook such as “should the trail leg stay flexed or should it extend?” Are we really talking about this still? What is the proper footwork and how should be use the ground (grf’s). I have my thoughts but will save them for another time. Also, after watching the last couple of tour events, I think the golf commentators should seek out at least a general idea of the latest information in order to speak intelligently about some topics as they attempt to describe a golf swing…Brutal! Frank Nobilo at least tries to get the answers which I appreciate. Don’t even get me started about this Old School vs. New School debate….which will likely be my next workshop presentation (I hope you are signed up for Guru Workshop 5 on March 28th…if not click here (shameless but necessary). Rant over! Hello peeps! I feel like this is the first time I have ever blogged or written and article. Probably because I haven’t written about anything of substance in a long while…. this one will be no exception:) I started this blog in 2009 and it has been a very important outlet for me in many ways. Whether it is sharing a video tip, writing an article that was on my mind about golf instruction or whatever was going on in my life or just creating content to allow you into my little world. My goals for my social media campaign (as the SM experts would call it) have changed as my job and life have changed but it doesn’t give me the right to disconnect from the world which I feel that I have done a little lately. Moving from a nationally ranked golf school to an exclusive private country club setting has changed my focus from trying to get my information out to the entire golf world to now a group of 1000 members at my club. The communication hasn’t stopped, it has just been geared towards the fish bowl instead of the ocean. Its been good because it has helped me to streamline my goals for my life and my business into these categories that I am passionate about. 1) I want to help as many young teaching professionals become better than me starting with my outstanding staff (Maggie Simons, Josh Spragins) by sharing information and practicalities that have helped me along the way 2) become a better coach to my elite juniors that I have an opportunity to assist in getting better and playing golf in college. 3) Creating some balance in my life to spend more time with my wife and kids…not entirely in that particular order I might say. probably 3-1-2. Even as a young professional, I have always been a goal setter. Every year I would set down and write out on a note card what I wanted to accomplish for that year. Some of you that have heard me do talks at my seminars know that this is what pushed me in the direction of teaching full time when I was a head professional. When all of your goals line up to you becoming a “Top Teacher” you soon realize that you are in the wrong place to accomplish that goal. After sitting down with my staff recently for our yearly goals setting session (key #1 tell someone about your goals for accountability) I I realized that I had gotten loose with some of my daily practices that have helped me along the way. The beauty of sharing information or helping others is that it is a “Two Way Street”. When I have the opportunity to mentor or share with another individual, it reminds me of things that I may have forgotten or took for granted which allows me to continually learn from these experiences. Danaa Rader is the best that I have ever been around when it comes to setting goals. She helped me simplify my list. She used to say” Your goals should not look like a to-do list.” ….And every goal should have and ACTION plan behind it. This would be a detailed step by step plan to get to the end result. If you haven’t guessed already, this is going to become a very random…journal like writing space that I will try to do every couple of days. It may be a couple of sentences or it might be an article of epic proportion. I don’t know what will come out of it. All I know is I will be writing and sharing my thoughts. As I reflect on the last couple of years, it is very easy when you have some success, to get lazy in the practices that got your there….So here is my list of what I will be doing more of in 2016. Reading more real books – Based on my library that I stare at eveytime I sit in front of the computer, I would guess that I have read close to 300 books on golf instruction, leadership, personal development, coaching, marketing, business etc. With everything nearly on the internet and social media I have found myslelf just reading articles and papers, which is not bad but I have to get back to real reading which will require me to sit in a quiet place…..loads of benefit here! Travel to watch other teachers work – I used to do this all the time but now with youtube and facebook we tend to get lazy in gathering information and lose the face to face, live aspect that is real life. I am always honored when other teachers come to watch me work but it doesn’t give me the excuse to not do the same. Better Use of Downtime – I used to listen to at lest an hour every day of some audio presentation, audio book or lecture dealing with personal development, leadership, management etc. (in the car to and from work). I am pretty sure I have a few degrees from Automobile University. Zig Ziglar, Tony Robbins, Jim Rohn, John Maxwell and Brian Tracy are some of my favorites. Now its itunes and podcasts that are getting popular which I have been fortunate to be a part of a few. 3A. I am going to work on my golf game this year. I still have some game left in me and I still love to play so scheduling practice, playing with members and signing up for a few tournaments will be on my list. Finish my Ebook – I have a book that I wrote a year and a half ago that I never got published. I need to go through and see what I like and what i want to change and get it out there. If any of you have a good blueprint for the process of this, let me know. Time For Action! That is the theme for this year….ACTION! We all spend alot of time online, at seminars, gathering information, doing research. It is now time to implement what you know and make it work for your situation. This year my focus is on “Long Term Coaching Programs.” Why? That is for another blog post. I am interested in what you think. Leave a comment below and don’t be afraid to share. Thank you for reading my blog and watching the videos that I post. This is a presentation on the basics of how I teach with Trackman that I did for about 60 area golf professionals. My staff, Maggie Simons (@maggiesimons) and Josh Spragins (@joshspragins) presented as well and did an outstanding job. This is very basic information for most teachers but could be great for new coaches or students that might be interested in some of the information that Trackman and an expert teacher can provide. I wish I had the last 45 minutes where I show you how I change AOA, how I move my students into creating a feel and a little wedge information that I learned from James Ridyard and Andrew Rice but th camera battery went dead. I also did a presentation on how I teach putting and how I test my players that I will see if it was recorded and post if it came out. I already posted this on twitter but I wanted to get it on my website so if you already have seen it I understand. As always, leave comments or questions below. My talk will be a little more in depth at the Guru’s Workshop on March 23rd, so I hope you can join me and my friends for a great day.